Once upon a time, I pictured the state of New York as being one Big Apple. That picture changed the day I drove the parkway that runs along the south shore of Lake Ontario. Upper New York, I discovered this region is quite rural – with fantastic parks. 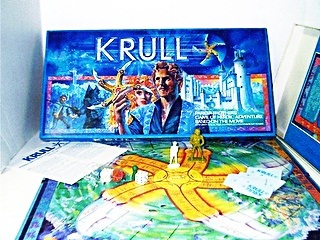 The board game, Krull, which my young grandson and I played often during his six-month stay with me. I passed at least a half-dozen of them during the 75 mile drive from Niagara Falls to Hamblin Beach State Park,” a day that is remembered in the travel book I’m writing. One of these awesome public recreation areas, the Joseph Davis State Park that sits on the Niagara River near its mouth with Lake Ontario, was the setting for the end of the 2005 Amazing Race. I didn’t know it at the time, however, and so didn’t stop. The Amazing Race is my all-time favorite Television Show. I also didn’t stop at Krull Park, which came in second in Coca Cola’s search for America’s Favorite State Park. But just passing by this park and seeing its name brought back pleasant memories that had nothing to do with parks. During the 1980s, my young grandson, David, lived with me for six months. 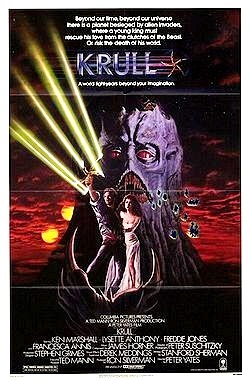 We played endless games of Krull, a popular board game created from the movie “Krull,” which we went to see together. There’s now a video version of Krull out, while the original board game is selling for up to $75 on eBay. While the name of Krull Park sparked pleasant memories from the past, Hamblin Beach State Park, where I camped for the night, created new memories for my brain bank. These included a walk along the beach and taking in a Revolutionary War reenactment that was taking place at the time. Book Report: I took a day off from all writing yesterday and did nothing but read. I think this is something I simply have to do every once in a while. A stormy day is best, but a hot day, as it was here at Lake Walcott, worked well, too, as I read in air-conditioned comfort. But I was back at work this morning and “Travels with Maggie” is now up to 40,322 words, some of which describe my visit to upper New York. 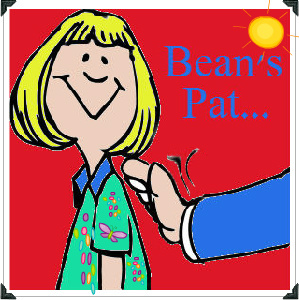 Bean’s Pat: Writing in the Water http://tinyurl.com/9334rbwThe case of the “you shoulds.” Perhaps you shouldn’t. A blog for writers. I love that Pat Conroy quote, it’s so very true! Definitely agree with Alex on the Pat Conroy quote. What a concise way to sum up the perpetual love of traveling. Did you see the new cast for Amazing Race this season? Thanks Eric. I haven’t, re Amazing Race, but I’ll check them out. I don’t have a TV these days in my RV. Last season, I watched the programs the next day on my computer. It, Survivor and NCIS are the only television programs I watch. When I’m traveling I have to watch it on my computer the next day. That’s how I caught all of last season.